The Dior phone has been out for quite sometime but back in May, Dior announced a limited edition Blue collection to celebrate the reopening of the Dior Shanghai store. Among the collection, was a limited edition Dior phone decked in blue sapphire crystal. 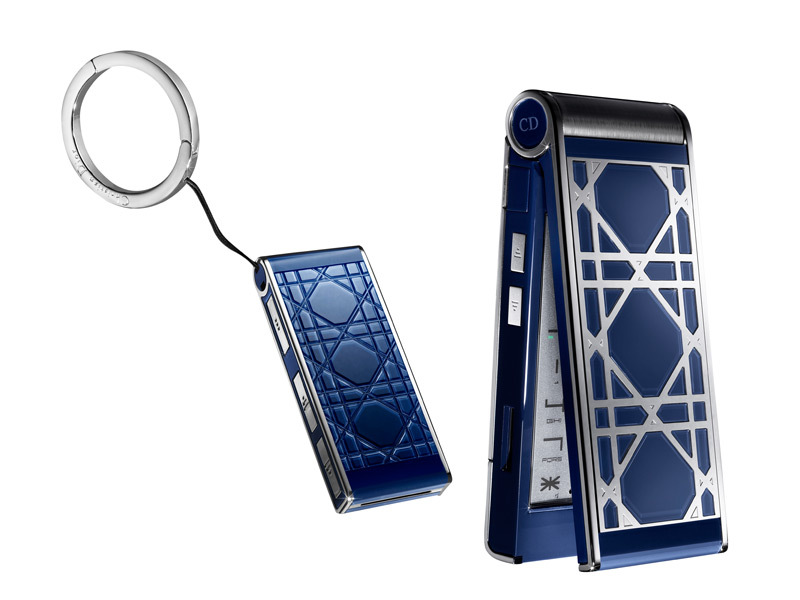 The Dior Shanghai Blue phone is being rereleased by the manufacturer ModeLab. It will be available from September throughout some of the finest jewelry and watch stores in Shanghai and is set to sell for $5,500. Handcrafted and designed in France, the phone features a slimline clamshell design with ‘jewel-like finishing and stylistic references’. The body of the phone as well as the inlaid marquetry within the 316L hand-brushed stainless steel grid is made of hand-chiselled pure sapphire crystal. The phone features an electroluminescent keyboard and AM-LOED screen, plus crystal clear sound and quad band connectivity. A unique feature of the phone is the My Dior, it’s connected wirelessly by bluetooth (within a range of 15 meters) and it allows you to control key aspects of the phone which includes initiating calls, seeing who is calling on the mirrored OLED display or accessing your personal directory.